The Holidays are coming up which is a perfect time to update your (and your family) technology. The best way to prepare for holiday shopping is to shop early. I followed the sales of the holiday season over the last few years and found great deals before Black Friday and Cyber Monday. This was a big relief, because the pressure of doing all of my technology shopping in one or two days was too much! 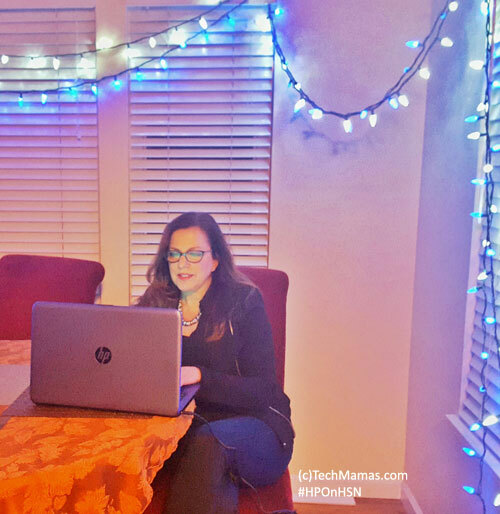 When I received an offer to do a sponsored post discussing the deals on HP laptops on HSN that are happening NOW (early November), I was excited to share the details. So don’t wait for Black Friday or Cyber Monday, take advantage of the holiday tech deals now and cozy up to your new laptop before the holidays without fighting the crowds! 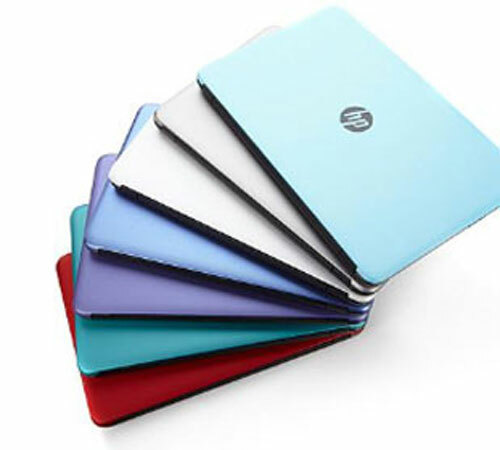 Great value HP laptops are on sale on HSN with fun colors such as Turbo Silver, Cardinal Red, Iris Purple, Silver White and even Teal. The HD touch offers a crisp, clear screen that allows you to pinch, zoom, swipe. The Windows 10 offers a seamless startup from anyone currently using Windows (just log in!). HSN Flex Pay that offers the ability to break up the laptop price into several payments. And shipping is free! One example of a great deal going on today (November 5th) is the HP 15.6″ Touch LED, Intel Quad-Core 8GB RAM, 1TB HDD Laptop with Software, Services and Lifetime Support. An HD Touchscreen with LED Backlight, Windows 10 that includes Cortana personal assistant, Built-in HP TrueVision HD webcam with digital microphone for video chats, responsive experience with Intel Quad-Core processing and 8GM RAM, 1TB hard drive for lots of storage and lifetime support for just $399.95! Check out the daily selection of deals for a range of HP technology on HSN, including printers. I decided that sharing one printer between 5 family members has been a challenge on busy nights. Giving the gift of another printer for my kids to use for homework will help everyone get their work done, even if it is at the same time. TECHNOLOGY HOLIDAY GIFT LIST: Make a list of technology that the family needs and then what the family wants. For example, your kids may want a new gaming console. But if they already have one that works just fine and need a new laptop for school, then the laptop is the better choice. If they object to the choice, try to explain all the benefits of having a new laptop for school and make it a fun adventure picking one out such as looking for their favorite color: Iris Purple (ok, that is mine!). CHECK FOR DEALS – NOW! As discussed, don’t wait for Black Friday or Cyber Monday, great tech deals are going on now. GO SHOPPING, SAVE UP OR FIND A FLEXIBLE PAY OPTION: After you have your holiday tech shopping list, start looking for the items online and save that list. Some items such as the laptops I mentioned are already on sale so buying them now is a good choice. Other tech items either may not be on sale or out of your price range. For those items, make a list and sign up for the website’s newsletter updates to receive sale notifications. Some items may not go on sale at all, so saving up for them or doing something such as the HSN Flex Pay may be a good option. Our kids really want a 3D Printer but all of the options we are looking at are out of our price range. So, for that holiday tech gift, we are saving up. What tech are you looking for as holiday gifts? Disclosure: This post is sponsored by HP. 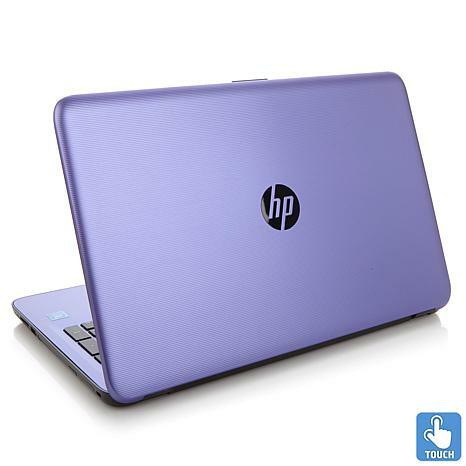 Click here to see the latest HP deals on HSN.